So yeah, had some monies burning a hole in my pocket last week. 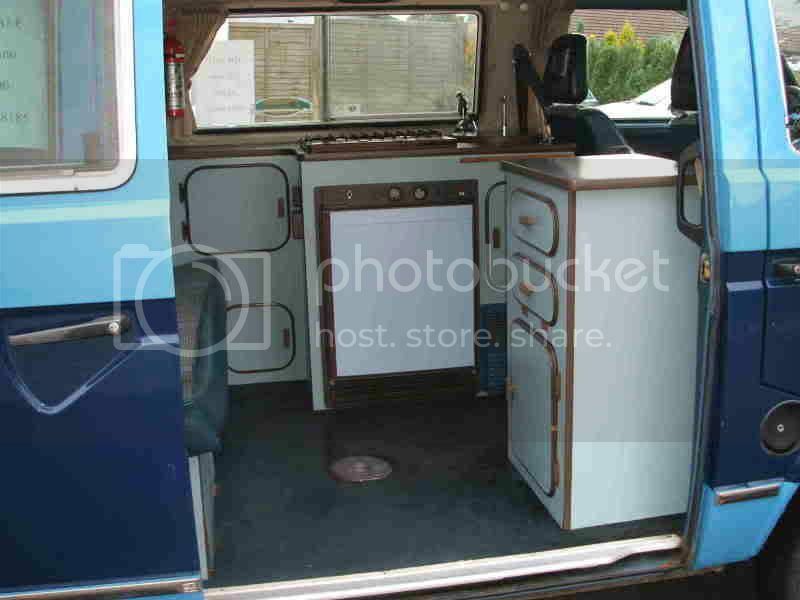 thought id buy a camper! 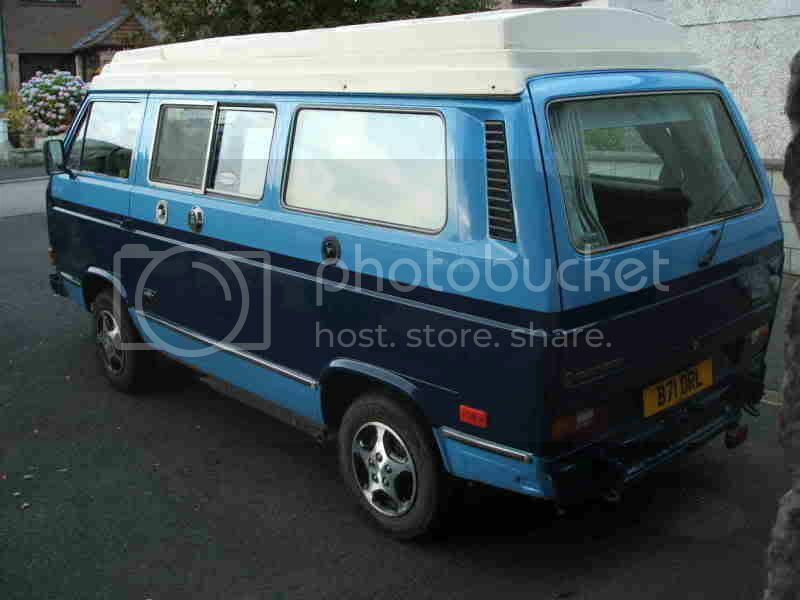 had a good look round on vzi, club 80-90 an the brickyard couldnt find anything decent in my budget, but then as i was archiving emails i came across one from the seller of this van, i initially emailed him about a month ago about this van on behalf of my mum. in the end she bottled it cos its LHD. 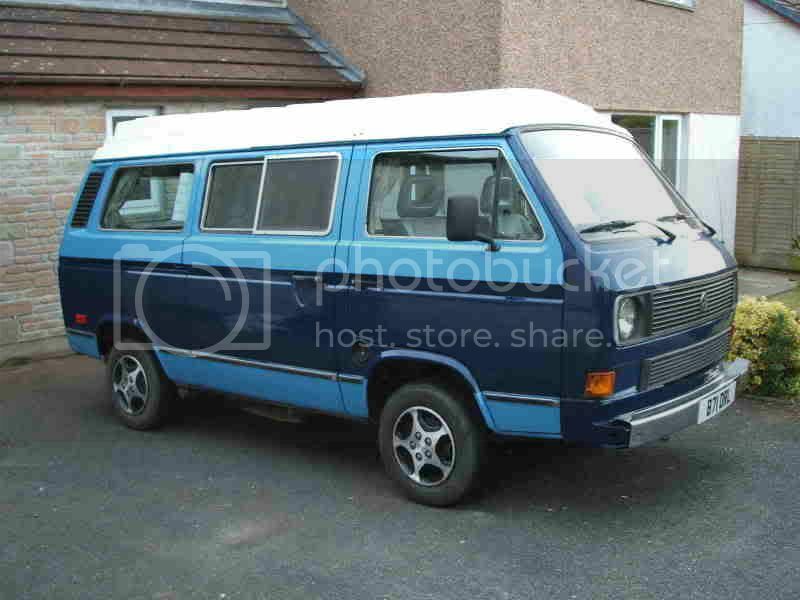 so i rememberd it was in good nick an good price so i emailed him asking if by any chance was it still available....got a phone call an lo it was! done a deal an as the owner was on a stag do in oxford, he drove it up on friday for me (saved me a journey to penzance!). so sort of a bling buy but i mustve spent an hour on the phone to the seller, and also a half hour chat with the mechanic whos looked after it for the last 12 years! When it arrived i nearly sh!t with joy, its great. Cool colours cool North american market spec, damn groovy. Only bugger is on my drive around on saturday, drove down to guys.....fine.....me an guy drove over to nicks.....smoke! when we got to horneys it was not greeted with smiles and whoops of joy, more looks of concern and an 'is it on fire?' from nick! Investigation by those that know concluded it had indeed sprung an oil leak but it was not on fire! 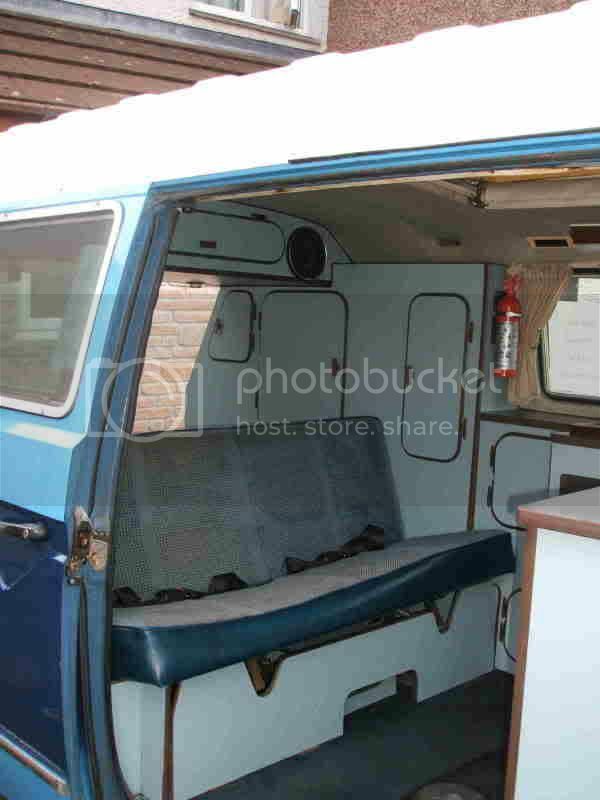 so drove home slooowly and ditched it, took it to a garage today (Sterling Automotive, Newbury very good for aircooled and early watercooled) an just had a call saying they think theyve sorted it, will leave it there tonight to make sure its not leaked overninght. then il go get it. but you want to see pics dont you? 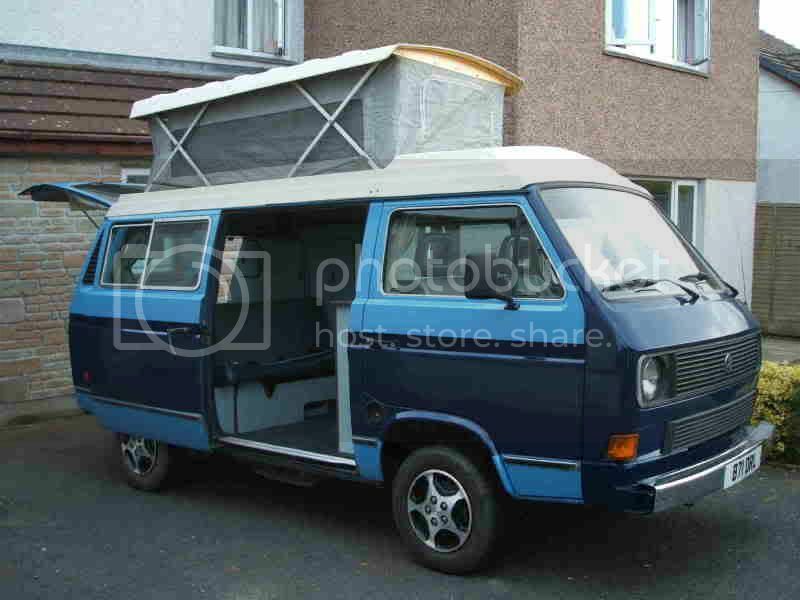 These are sellers pics so il do my own when i have it back, cleaned and im home! Re: Camper! 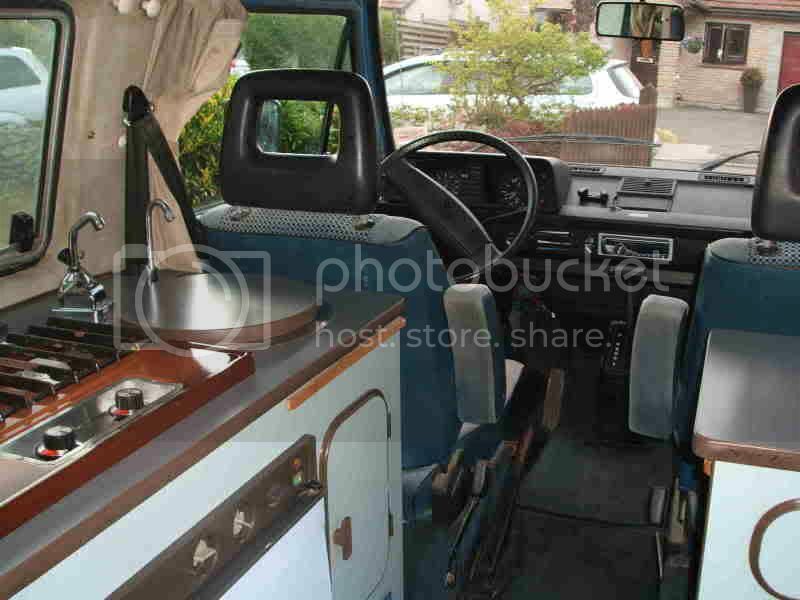 Vanagon import....Canada it is from ey? oh it also has a chrome bumper on the back now too! tis smooth! i likes it when it isn't smoking and leaking more than a bad woman! Looks like a good mission mobile what engine is it? 1.9 petrol? and has it got the funny gruncheon gearbox on it, the most useless gear in the world until it snows! Glad it sound slike you got the leak sorted bud, other than that little issue it's awesome! but oh my god I think (by reading your other progress threads) that as soon as you touch a vehicle it goes wrong. Golf MK3 1.8 auto and I didn't pay a grand for the "priveledge" , auto windows all round and a AC. Oh and I've got a luggage net you pricks! Does that make my willy look bigger? Looks ok and very different.